John Fauvel (21 July 1947 - 12 May 2001) worked on this 25-year history with me as I prepared it as a gift for the HPM meeting in Taiwan. His spirit is present in every sentence. When he joined HPM in 1988, he lifted it to a benchmark never expected, and he brought color and joy to every meeting he attended. There has been interest in the question of how history of mathematics can help mathematics teachers and learners since at least the time of David Eugene Smith and Florian Cajori, that is, from the 1890s onwards, but a widespread international movement began to take shape only three-quarters of a century later, in the 1970s. The intervening period is full of interest and deserves a historical study of its own, but the present account picks up the story at the point in 1972 when there occurred a confluence between growing interest within the mathematics education community (seen notably in the NCTM's celebrated 31st Yearbook of 1969, Historical topics for the mathematics classroom) and an increased readiness of international bodies to take such interests and concerns on board. Congress of Mathematicians, held in Strasbourg. The history of these international bodies is thus closely linked with twentieth century internationalisation of mathematical activity, in particular with the efforts of mathematicians to re-energise international co-operation after major wars, as part of the healing and reconciliation process and in a spirit of optimism about building a better future for everyone. At the 1972 ICME, a Working Group (EWG 11) on 'History and pedagogy of mathematics' was organized by Phillip S. Jones (University of Michigan, US) and Leo Rogers (Roehampton Institute of Higher Education, UK), both influential figures in the nascent movement over the next few years1 . 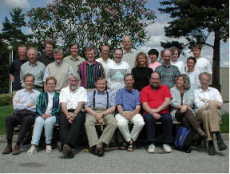 The work of this group was continued at the next ICME (ICME 3), held in Karlsruhe, Germany, in 1976 (August 16-21), with three sessions, chaired by Phillip Jones and Roland Stowasser (Bielefeld, Germany), under the title of 'History of mathematics as a critical tool for curriculum design'. Phillip Jones, Henk Bos, Roland Stowasser, Barnabus Hughes, Leo Rogers, Jean Nicolson and Graham Flegg gave talks in these sessions 2. At this meeting, in the words of Leo Rogers' report, "It was clear that participants were anxious to bring to the notice of the Congress Organizing Committee the importance and the widespread interest in historical-pedagogical studies in mathematics", and a resolution was forwarded to the secretary of ICMI proposing the setting up of a system to ensure regular sessions at future ICMEs on the relations between history and pedagogy of mathematics. The ICMI Executive Committee welcomed these proposals and at its subsequent meeting approved the affiliation of the new Study Group, under the title International Study Group on Relations between History and Pedagogy of Mathematics, cooperating with the International Commission on Mathematical Instruction. (This somewhat unwieldy title is now generally shortened to "HPM".) The "principal aims" of the Study Group were given in these words3 . Courses in History of Mathematics in Universities, Colleges and Schools. The use and relevance of History of Mathematics in mathematics teaching. Views on the relation between History of Mathematics and Mathematical Education at all levels. To promote and stimulate interdisciplinary investigation by brining together all those interested, particularly mathematicians, historians of mathematics, teachers, social scientists and other users of mathematics. To further a deeper understanding of the way mathematics evolves, and the forces which contribute to this evolution. To relate the teaching of mathematics and the history of mathematics teaching to the development of mathematics in ways which assist the improvement of instruction and the development of curricula. To produce materials which can be used by teachers of mathematics to provide perspectives and to further the critical discussion of the teaching of mathematics. To facilitate access to materials in the history of mathematics and related areas. To promote awareness of the relevance of the history of mathematics for mathematics teaching in mathematicians and teachers. To promote awareness of the history of mathematics as a significant part of the development of cultures. 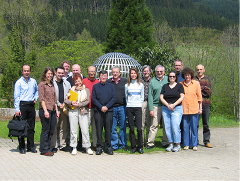 At the same Karlsruhe ICME, another permanent study group was set up, the International Group for the Psychology of Mathematics Education (PME). This group too has flourished in the years since, holding annual meetings in different countries and issuing a PME Newsletter twice a year as well as conference proceedings and other scientific publications. To complete the picture of ICMI study groups, there are two further permanent groups which have come on stream more recently: IOWME, the International Organization of Women and Mathematics Education, which is particularly concerned with issues relating gender and mathematics education; and WFNMC, the World Federation of National Mathematics Competitions. The latter is a confederation of people interested in the creation of school mathematics competitions and using them to develop the talents of young people. All four ICMI Study Groups share certain features, such as being rather loosely structured as well as being very dependent on the commitment and enthusiasm of a few already busy individuals to keep the momentum going and ensuring the organization survives and develops. HPM has been very fortunate in that each generation of members has managed to inspire younger folk to pick up the baton and continue to work for the group's survival and growth, enthusing an ever-widening circle of teachers and others across the world. In the years after the Karlsruhe congress, the spirit of the HPM Group's activities began to percolate through other meetings. For instance, the International Congress of Mathematicians (ICM) in Helsinki held two years later (15-23 August 1978) had a session on relations between history and pedagogy of mathematics, chaired by Graham Flegg (Open University, UK). At this meeting two roles for the HPM Study Group were identified: disseminating information on publications and resources in the history of mathematics, and organizing lectures and seminars at international gatherings such as ICM and ICME4. History of mathematics has been a learning process of progressive schematising. Youngsters need not repeat the history of mankind but they should not be expected either to start at the very point where the preceding generation stopped. In a sense youngsters should repeat history though not the one that actually took place but the one that would have taken place if our ancestors had known what we are fortunate enough to know. Hans Freudenthal, 'Major problems of mathematics education '6 Proceedings of ICME 4, p. 3. With issue n. 7 this Newsletter became the organ for the international group, not just North America. By 1988 there were 2500 on mailing list with readers on every continent (except Antarctica) and in 62 countries. The publishing and distribution were paid for by the Department of Mathematical Science sat Ball State University. It was Jones who built up the Newsletter into an important document for communication and hence developing strongly and creatively the work laid out in the initial document of HPM, a tradition which was carried on by his successor Victor Katz. The Newsletter has from the start relied on the goodwill of various college and university institutions for its printing facilities, and an in formal distribution system to spread it as widely as possible. The long-standing organization for north American mathematics teachers, the National Council of Teachers of Mathematics (NCTM) has long had an interest in the role of history for mathematical pedagogy. 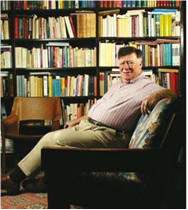 It was during Phillip Jones' presidency of the NCTM that the celebrated 31st Yearbook of the NCTM, Historical topics for the mathematics classroom, was proposed. Even before that there had long been a history section in the NCTM's journal Mathematics teacher, edited successively by Vera Sanford (a student of David Eugene Smith), Phillip Jones and Howard Eves. 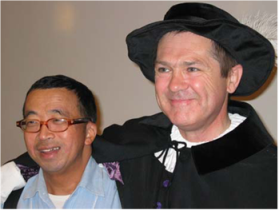 With the founding of HPM, relations with NCTM continued to be positive and productive. Beginning in1982, the Group has organized sessions at the major annual meetings of the NCTM; these sessions have generally been highly popular, often standing room only. 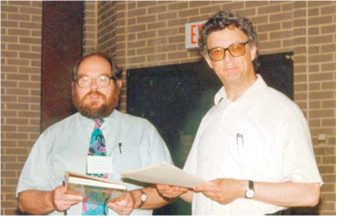 That year the NCTM Meeting was held in Toronto, where the Institute for the History and Philosophy of Science and Technology hosted a reception and dinner, arranged by Charles Jones, for those who were interested in the work of the study group. The HPM session, on 15 April 1982, to an audience of 80, had presentations from Linda Kolnowski, Marie Vitale, Maryjo Nichols, Dorothy Goldberg, and Charles V Jones9 . The following year, 1983, an HPM workshop was held at the University of Michigan, Ann Arbor, organized by Phillip Jones, just prior to the annual meeting of the NCTM, held in Detroit. At the University of Michigan meeting, extensive use of the outstanding mathematical collection in the Rare Book Room at the university was organized by Jones and V. Frederick Rickey (Bowling Green State University, USA)10 . This type of well-attended meeting continued until 1997 [check date] when the meetings were incorporated into the general program of NCTM and consequently compete - not unsuccessfully - with a huge number of other talks and sessions. These annual meetings held in collaboration with the NCTM have been, in effect, the annual meeting of the Americas Section of HPM, which is to this extent an affiliated group of NCTM as well as being a semi-autonomous section of HPM (and thus affiliated to ICMI). Discussions followed of how such works could be used in the classroom. Participants brought copies of materials they had used in their classrooms to share, a vital part of the work of HPM. Toronto at that time played an important role in the development of history of mathematics as an institutional and international endeavor, as the university from which Kenneth O. May promoted history of mathematics in a number of ways up until his sadly early death in 1977. May's successors at Toronto's Institute for History and Philosophy of Science and Technology (IHPST) have continued to support and promote history of mathematics and its relations with pedagogy. In 1983, for example, a workshop from 25 July to 2 August, billed as a summer seminar on the history of mathematics for teachers, was held in Toronto and attracted a number of distinguished speakers. The proceedings, edited by Ivor Grattan-Guinness, were published as History in mathematics education, Paris: Belin (1986), 208 pp. In 1992 the same institution hosted the HPM satellite meeting, described in more detail below, whose proceedings were to be published as Vita Mathematica (ed R Calinger, MAA 1996, 359 pp.). In 1984, a meeting was held at University High School in San Francisco under the leadership of Jones and Meserve and hosted by Craig McGarvey (University High School). This meeting saw the presentation of papers and the plans for the establishment of an Americas Section of ISGHPM (North, South and Central America) as well as a 6.1 earthquake. The underlying reason for establishing this section was to have a more active presence in the mathematics education community than was forthcoming from the international organization. Florence Fasanelli (Sidwell Friends School, USA) was elected to chair this section and to represent it at the ISGHPM in Adelaide, Australia in August 1984 at ICME 5. Subsequent chairs of the section have been V. Frederick Rickey, Charles Jones, Victor Katz, and Robert Stein. With the work of Jones and Meserve to initiate the Americas section described above and to begin a local newsletter which was transformed into an international newsletter by its editor Charles Jones the development of activities in the USA began in earnest in 1983. The Section meetings continue to be held each year as an affiliated group (since 1993) of NCTM. In 1993, HPM Americas Section created a constitution, which was laid out in the HPM Newsletter11 . ICME 5 itself was held at the University of Melbourne, and contained further activities of the study group. Notably, a series of four meetings was held with the intention of introducing mathematics educators to the group and its aims. During the business meeting of ISGHPM at that congress, Ubi D'Ambrosio (University of Campinas, Brazil) and Christian Houzel (Université Paris-Nord, France) were elected co-chairs for the next four years. Bruce Meserve suggested that the acronym for ISGHPM be shortened to HPM. He also suggested that affiliated groups of HPM be formed, specifically an Americas Section. This was approved at the meeting. D'Ambrosio arranged for an HPM meeting in conjunction with ICM in Berkeley in 1986. A meeting of the HPM Americas Section was held from June 30 to July 4 1988 in São Paulo, Brazil, in connection with the Second Latin-American Congress on the History of Science and Technology. From July 20 to 22, 1988, the second HPM satellite meeting was held at Palazzo Medici-Riccardi in Florence, Italy, under the leadership of Florence Fasanelli (now of the National Science Foundation, USA). This began the custom of holding the quadrennial HPM satellite meeting in a nearby but different country, shortly before or after the main ICME meeting, to encourage those who could not also attend ICME to be able to participate in HPM and to provide a fuller set of HPM activities than is possible during the very crowded ICME timetable. Holding the meeting in Florence made it possible to tour historical sites connected to mathematical history including a tour of the history of science museum, the Palazzo di Storia della Scienza. Speakers at the meeting included Catherine Perrineau (France), John Fossa (Brazil), Ubiratan D'Ambrosio (Brazil), David Wheeler (Canada), James Tattersall (USA), Michael Serfati, Jacques Borowczyk (France), Benedito Castrucci (Brazil), Israel Kleiner (Canada), Maryvonne Hallez (France), V Frederick Rickey (USA), and Robert Hayes (Australia), who shared his experiences of history of mathematics as a source of encouragement in learning mathematics for non-traditional students, in particular adults returning to learning. ICME 6 was held in Budapest, Hungary, from July 27 to August 3 1988. The HPM sessions, arranged by Ubiratan D'Ambrosio, focused on two main themes, Non-euclidean geometries and their adoption in the school systems and The evolution of algorithms for use in schools, as well as having a panel on History of mathematics in the teaching of mathematics. The symposium on non-euclidean geometries had three speakers, Nikos Kastanis (Greece), Massouma Kazim (Qatar), and Tibor Wessely (Romania). That on algorithms had one main speaker, Lawrence Shirley (Nigeria), although a lengthy and well-received intervention by George Ghevarghese Joseph (UK) was the first opportunity many HPM members had to hear of the work which Joseph was to publish three years later as The crest of the peacock. The panel on history and teaching, chaired by Ubiratan D'Ambrosio, had four members: Evelyne Barbin (France), Helena Pycior (USA), Arpad Szabó (Hungary) and Hans Wüssing (DDR). In a fourth session, short papers were given by László Filep (Hungary), Ryusuke Nagaoka (Japan), Zofia Golab-Meyer (Poland), Rudolph Bkouche (France), Robert Hayes (Australia) and Circe Silva da Silva (Brazil). As the array of countries indicates, this was perhaps the most international of all HPM gatherings up to then. At this meeting Florence Fasanelli was elected chair, for the next four years, and the previous system of co-chairs was dropped. Victor Katz (University of the District of Columbia, USA) was invited to become editor of the Newsletter following its successful development under Charles Jones who had resigned after 12 excellent editions. It was determined that the Advisory Board members for HPM would continue to comprise previous chairs and a number of others who would be co-opted by the Chair to share in decisions and generally help to promote the concerns of the Study Group around the world. After the Budapest ICME, several members of the HPM community went on to a meeting in Kristians and, Norway, organised by Otto Bekken (Agder College, Norway) and Bengt Johansson (Göteborg University, Sweden). While not strictly an HPM meeting in its formal conception, this meeting of historians, mathematicians and mathematics educators from twelve countries spanning four continents was fine testimony to the growing international interest in relations between history and pedagogy of mathematics. A collection of twenty-three influential papers arising from this conference was subsequently published by the Mathematical Association of America, under the title Learn from the masters! 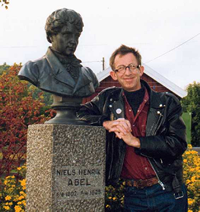 , a tribute to the memory of Norway's greatest mathematician, Niels Henrik Abel, who lived near Kristiansand and whose spirit watched over the proceedings. HPM sponsored sessions at the 1990 ICM in Kyoto were arranged by Ubiratan D'Ambrosio. By this time HPM was well enough known to merit a footnote in Marcia Ascher's classic Ethnomathematics, published in June 1991 (the final words of the book, indeed), saying "Their activities and newsletter are important resources". The 1992 ICME, held in Francophone Canada, had of course a particularly French tone, intellectually and linguistically (and, not least, gastronomically); and the French Inter-IREM group (see below) led by Evelyne Barbin presented a valuable report entitled Histoires de problèmes histoire des mathématiques This collection of fifteen histories of different problems (such as prime numbers, the parallel postulate, the brachistochrone problem, &c) written by some thirty French teachers and designed for other teachers as a means of introducing a historical perspective into their teaching, was subsequently published in French and then in English translation. At the meeting of the General Assembly of ICMI at the Quebec meeting it was announced that the proposal for an 'ICMI Study' in the history and pedagogy of mathematics was under consideration and would probably be funded. The story of the development of this study is taken up later. A meeting of HPM arranged by George Booker was held in Cairns, Australia, in July 199518 . This conference focused on ethnomathematics and the Australasian region, the history and diversity of that subject and fortunately included native people from New Zealand and Australia. Among the memorable talks of the conference was the report by Alan Bishop on the work of his late student on numeration structures in Papua New Guinea. At the General Assembly of ICMI held at the Universidad de Sevilla, the Secretary announced that the Study hinted at in Quebec four years earlier was to come about; namely, that ICMI would mount a study in1997 on 'The Role of the History of Mathematics in the Teaching and Learning of Mathematics'. Shortly afterwards the HPM chair and his predecessor, Jan van Maanen and John Fauvel, were invited by ICMI to chair the Study (whose progress is described in more detail later). Over the autumn of 1996 the co-chairs of the ICMI Study invited a number of distinguished scholars in the field (listed later) to form an International Programme Committee for the Study. The following year a planning meeting of the IPC was held in Nantes, France, taking advantage of an already-planned French conference on HPM issues, the 7th Université d'été interdisciplinaire sur l'histoire des mathématiques. (This biennial series of meetings for French teachers should not be confused with the triennial European Summer University series, discussed later.) Following the IPC meeting a discussion document was widely circulated through publication in many venues and everyone was encouraged to respond to the issues already determined as important. From the responses 72 individuals were invited to a meeting the following April in southern France, to participate in the official study and make plans to complete a book for presentation in August 2000 at ICME 9. The study conference for the ICMI Study was held from April 20-25 1998 in Luminy, near Marseilles. (This conference is described more fully below).A meeting of HPM was held in Caracas, Venezuela, in 1998. In 1998, an entire day of talks at the time of the Joint Meetings was organized by Victor Katz and Karen Michalowicz (Langley School, USA) in honor of Ubiratan d'Ambrosio's 65th birthday. Speakers included Dirk Struik who was then 104. This meeting was held jointly with the International Study Group on Ethnomathematics. HPM held its usual meetings during ICME 9 in Makuhari (near Tokyo), Japan. At this meeting, Fulvia Furinghetti of the University of Genova, Italy, was elected Chair of HPM for the next four years, and Peter Ransom (UK) was invited to take on the role of Newsletter editor. The HPM satellite meeting was held after the congress in Taipei, Taiwan, from August 9 to 14, at the National Taiwan Normal University, organized by Wann-Sheng Horng, under the title 'History in mathematics education: challenges for a new millennium'. While attendance was not so high as in Braga four years before, largely for reasons of the high travel costs anticipated by many otherwise-interested European and American members of HPM, the level of enthusiasm was just as high, with participation from nineteen countries and all continents, and there was a tremendously warm welcome for foreign delegates from Taiwanese students and teachers. The five plenary lectures, given by Marjolein Kool (The Netherlands), Park Seong-Rae (Korea), Christopher Cullen (UK), Karine Chemla (France) and Masami Isoda (Japan), provided a range of background studies against which various themes of the conference could be played out in symposia, workshops, round tables and panels. As in Braga, the two-volume proceedings was issued in advance, edited by Wann-Sheng Horng and Fou-Lai Lin, providing an invaluable aid for delegates to study-before, during or afterwards-papers whose verbal delivery might be in an unfamiliar language. The contribution made by Taiwanese teachers and students to the conference marked an important consolidation of a trend already noticeable in Braga, in the strength of the home team. The Taiwanese school-teachers at the conference were already informed and enthusiastic about HPM issues, having been trained at the Normal University in Taipei, and the students were currently studying there, often for master's degrees, under the guidance of Wann-Sheng Horng and his colleagues. So there was already a strong base for fruitful interaction with the visiting teachers, historians and educators, and a sense that the activities and approaches stimulated by the HPM meeting could and would continue afterwards. Thus the efforts put in beforehand over several years, by the conference organizers, in their role as teachers at the Normal University, ensured that the HPM meeting was part of the ongoing development of HPM studies in Taiwan as well as benefiting HPM activities world-wide. In developing HPM activities further in the region, the hope was expressed for holding a series of regular future conferences, somewhat after the fashion of the European Summer University (see next section) which could bring together students and teachers from many East Asian countries, notably Japan, Taiwan and Hong Kong. The second ESU was held at Braga, Portugal, in July 1996, concurrently with (indeed indistinguishable from) the HPM satellite meeting after ICME 8, as noted above. The third European Summer University was held in Belgium in July 1999, across the two sites of Louvain-la-Neuve and Leuven. The former is a new university town, south of Brussels, set up to house the French-speaking students who broke away from the ancient Dutch-speaking university of Leuven in the1950s, hence there were political reasons, given the extraordinarily complex nature of Belgian educational politics, for a split-site meeting. But in any case both universities were excellent and most welcoming locations for a summer university. The meeting was organized by Patricia Radelet de Graves, Dirk Janssens and Michel Roelens, and the anticipated volume of proceedings has been published with P. Radelet as editor, Third European summer university in history and epistemology in mathematics education. The most consistent enthusiasm and activity over many years for the educational benefits of history of mathematics is to be found in France. This high profile is due to a remarkable organisation, or set of organisations, the IREM system, set up in the early 1970s. IREM stands for Institut de Recherche sur l'Ensignement des Mathématiques (Institute for research on mathematics education). There are twenty-five such institutes in France, each attached to a university, roughly one IREM for each Académie (the territorial administrative division of the French Ministry of Education). An important feature of an IREM is that it consists largely of practicing teachers, seconded from their school for a year or so to work on specific courses and projects. Thus there is less danger of losing touch with the chalk-face, such as occur in mathematics education research in other countries. IREMs soon developed a reputation for moving beyond the teacher re-training and in-service provision, as well as initial training, which was their original brief, and of moving into making valuable contributions to pedagogical innovation, critical study of syllabuses and textbooks, classroom uses of new technology, and a vigorous questioning of conventional practices. Inter-IREM commissions on various topics of common concern were set up, one of the most successful of which is the Inter-IREM Commission on history and epistemology of mathematics. It is this Inter-IREM Commission, under the co-ordination and leadership of Evelyne Barbin (Le Mans IREM), which has generated some of the most exciting and consistently energetic ventures into bringing history and mathematical pedagogy together, in a series of conferences as well as books. The general pattern of the books is of a series of chapters, each written by a different IREM member, describing use of history of mathematics in the classroom, or providing original sources for classroom use, or more recently providing a coherent account of the historical development of some classroom topic in a way that is highly suitable for teachers to use to aid their students' learning. These books are generally in French, naturally, although their quality is such that several have been translated into English wherever a translator and publisher could be found. In September 1988, Ivor Grattan-Guinness organised on behalf of the British Society for the History of Mathematics a three-day meeting in Leicester on The use of history in mathematics teaching and pedagogy. This proved so successful and aroused such interest that it was decided to have more such meetings. In 1990 the first such meeting was held, again at the University of Leicester, under the title of History in mathematics education. This and all subsequent meetings have had the overall label of "HIMED". The1990 Leicester HIMED was organised by John Fauvel, Neil Bibby and Steve Russ on behalf of the British Society for the History of Mathematics, and annual meetings have subsequently been held in other British cities. The general pattern is that these meetings have been held in the spring, generally near Easter (during the school holidays so that school teachers are able to come), with one day and three-day residential meetings in alternate years (even-numbered years have been those in which a residential HIMED has been held). These meetings are designed to bring together researchers and teachers at all levels of education to explore issues around the educational use of history of mathematics23 , and the residential meetings are particularly fruitful as that makes it worth while for international visitors to attend. Changes in the funding of the UK school system have, though, made it increasingly hard for teachers to find funding support from their employers for attendance at any conferences that have not an immediate utilitarian pay-off, in terms of the league tables which governments now use to quantify, order and reward the performance of teachers in UK schools. The idea of teachers coming to a meeting for intellectual refreshment, inspiration, sustenance and interest, to improve morale and sustain them in continuing to grow into better teachers, is already far in the distant past and no longer makes sense in today's neo-That cherished political climate in the UK. This must put the long-term survival of the HIMED meetings in doubt. As a direct result of the activities of HPM, a number of senior US figures in the movement-Florence Fasanelli, Victor Katz, and Frederick Rickey, along with Ron Calinger and (from South America) Ubiratan D' Ambrosio-designed an Institute in the History of Mathematics and Its Use in Teaching which was funded by the National Science Foundation over six years. In the first tranche of activity, 75 mathematicians and mathematics educators from all across the US came to Washington DC to spend three weeks over two summers reading original texts, surveying the history of mathematics, ethnomathematics, and historiography, preparing presentations for peer review, and discussing concepts and context with renowned historians. They had the opportunity to visit museums and rare book collections with commentary by librarians. An especially important aspect of the Institute, unique among such ventures, was the opportunity provided by the Mathematical Association of America (MAA) for students of the Institute to attend the major MAA annual meeting (held in January, jointly with the American Mathematical Society) and section meetings and give presentations on how they have used history in their teaching. A large number of students availed themselves of this opportunity, giving often very impressive talks about how their teaching had changed, and in what respect, since attending the Institute the previous summer. In addition, it is remarkable to record that almost all participants have published refereed papers as a direct result of the work they have done subsequent to the Institute, along the principles in research, reading original texts, writing and speaking that they learned there. The effect on their teaching has been truly remarkable. Three of the participants have created ongoing meetings on the history and pedagogy of mathematics in their regions: California, New York (the Pohle Lectures organized by two IHMT alumni and the Euler Society organized by another), and in Ohio a program of reading original texts. A further outcome is that under the leadership of Victor Katz and Karen Dee Michalowicz, teams of high-school teachers, totaling 22 individuals and participants who had completed the two-years of study have created modules for using history of mathematics in the classroom. These modules have been developmentally tested in classrooms across the US and are available through the MAA. For several years now, the most prominent showcase of HPM-related activity in the USA has been at the annual gathering of mathematicians from the two main associations, the Mathematical Association of America and the American Mathematical Society. The MAA/AMS Joint Meeting takes place in January each year, generally in a large southern city whose weather can be relied upon at that time of year. In 1972 there was a day-long set of sessions on the history of mathematics. From several perspectives this was the beginning of a wellspring of interest in the history of mathematics. Just as interest in mathematics education has become a large part of the Joint Meetings, both the history of mathematics and the history of mathematics and its use in teaching have built larger and larger audiences. By 1980 the number of talks had increased to stretch over two days and by 2001 to four full days plus a fifth day before the Joint Meetings began. Each year from 1996-2000 there were at least 15-18 papers on the use of history in teaching mathematics. In 2004 these talks were given by speakers from at least ten countries. The international thrust and the ideas of HPM are clearly affecting the mathematics community. The HPM Newsletter began to be distributed in Portugal in 1990 and the number of teachers receiving it grew steadily. In 1993 a working group on History and the Teaching of Mathematics (GTHEM) was launched by the Portuguese Association of Teachers with the aim of exchanging experiences on using history in the mathematics classroom and to help teachers to integrate the history of mathematics in their teaching. Other groups also formed: in both Lisbon and in northern Portugal teachers organized themselves for a two-year program studying the 17 units of the British Open University source book by John Fauvel and Jeremy Gray; while in Coimbra in 1993 the Primeiro Encontro Luso-Brasileiro de História da Matematica was organized. The series continued with the 2 o EL-BHM in Áquas de São Paulo, SP, Brazil, in 1997, the 3 o EL-BHM in 2004, again in Coimbra, and the 4 o EL-BHM planned to take place in Natal, RN, Brazil, in October 2004. The other major Portuguese-speaking country which has shown considerable interest in developing HPM themes and issues over the years is Brazil, largely due to the influence of Ubiratan D'Ambrosio of the University of São Paulo, who has inspired a generation of mathematics educators and historians in Brazil (and elsewhere). National and international conferences in various Brazilian centers (most recently a meeting in Lorena, Brazil on 26-27 July 1998, in connection with the 5th Latin-American Congress of History of Science and Technology) testify to the enthusiasm in Brazil for relating mathematical history to its teaching. The strong state of history of mathematics per se in Brazil is clearly an important factor behind the HPM activity there. Another organisation with keen interest in HPM matters is AMUCHMA, the African Mathematical Union's Commission on the History of Mathematics in Africa. This body was set up in 1986, at the second Pan-African Congress of Mathematicians, held in Jos, Nigeria; a Newsletter was produced the following year, and has appeared regularly since, in Arabic, English and French. The Chair of AMUCHMA from its inception has been the influential mathematics educator Paulus Gerdes (Mozambique), and the Secretary Ahmed Djebbar (Algeria) - thus, symbolically, encompassing all Africa in between. While, strictly, AMUCHMA is concerned with history of mathematics in Africa, many of those concerned have educational interests and the research results have proved of great interest to African mathematics teachers. Among the most fruitful and widely used research in this area has been that of Paulus Gerdes on the mathematics of sand drawings in sub-equatorial Africa. A related interest group is the International Study Group on Ethnomathematics, whose board members are mostly from the USA. This group also has a newsletter (the ISGEm Newsletter) distributed in the same way as the HPM Newsletter, through a number of people in countries across the world who photocopy and distribute the Newsletter in their region. Since the mid 1980s HPM's parent body, the International Commission on Mathematics Instruction, has engaged in promoting a series of studies on essential topics and key issues in mathematics education, to provide an up-to-date presentation and analysis of the state of the art in that area. By the early 1990s a consensus was growing that one of these studies should be devoted to the relations between history and pedagogy of mathematics. Once ICMI Council agreed to this Study, which was announced at the Seville ICME in 1996, the current and immediate past Chair of HPM, Jan van Maanen and John Fauvel, were approached to chair the Study. ICMI's support for and promotion of this Study can thus be seen as recognition of how the HPM Study Group had encouraged and reflected a climate of greater international interest in the value of history of mathematics for mathematics educators, teachers and learners. Concerns throughout the international mathematics education community had begun to focus on such issues as the many different ways in which history of mathematics might be useful, on scientific studies of its effectiveness as a classroom resource, and on the political process of spreading awareness of these benefits through curriculum objectives and design. It was judged that an ICMI Study would be a good way of bringing discussions of these issues together and broadcasting the results, with benefits, it is to be hoped, to mathematics instruction world-wide. ICMI Studies typically fall into three parts: a widely distributed Discussion Document to identify the key issues and themes of the study; a Study Conference where the issues are discussed in greater depth; and a Study Volume bringing together the work of the Study so as to make a permanent contribution to the field. The Discussion Document was drawn up by the two people invited by ICMI to co-chair the Study, John Fauvel (Open University, UK; HPM chair 1992-1996) and Jan van Maanen (University of Groningen, Netherlands; HPM chair 1996-2000), with the assistance of the leading scholars who formed the International Programme Committee: Abraham Arcavi (Israel), Evelyne Barbin (France), Jean-Luc Dorier (France), Florence Fasanelli (US, HPM Chair 1998-1992), Alejandro Garciadiego (Mexico), Ewa Lakoma (Poland), Mogens Niss (Denmark) and Man-Keung Siu (Hong Kong). The Discussion Document was widely published, and was translated into several other languages including French, Greek and Italian. From the responses and from other contacts, some eighty scholars were invited to a Study Conference in the spring of 1998, an invitation which in the event between sixty and seventy were able to accept. The Study Conference took place in the south of France, at the splendid country retreat of the French Mathematical Society, CIRM Luminy (near Marseille), from 20 to 25 April 1998. Local organization was in the hands of Jean-Luc Dorier (University of Grenoble). The scholars attending were from a variety of backgrounds: mathematics educators, teachers, mathematicians, historians of mathematics, educational administrators and others. This rich mix of skills and experiences enabled many fruitful dialogues and contributions to the developing study. The means by which the Study was advanced, through the mechanism of the Conference, is worth description and comment. Most participants in the Conference had submitted papers, either freshly written or recent position papers, for the others to read and discuss, and several studies were made available by scholars not able to attend the meeting. These, together with whatever personal qualities and experiences each participant was bringing to the Conference, formed the basis for the work. Apart from a number of plenary and special sessions, the bulk of the Conference's work was done through eleven working groups, corresponding, in the event, to the eleven chapters of the Study Volume. Each participant belonged to two groups, one meeting in the mornings and one in the afternoons. Each group was led by a convener, responsible for coordinating the group's activities and playing a major part in the editorial activity leading to the eventual chapters of the book. Each group's work continued for several months after the Conference, with almost everyone participating fully in writing, critical reading, bibliographical and other editorial activities. This way of group working for a sustained period towards the production of a book chapter was a fresh experience to many participants, since the pattern of individual responsibility for separate papers is a more common feature of such meetings and book productions. In this instance the participants proved remarkably adept at using the new structures to come up with valuable contributions to the development of the field, all the more valuable for their being the results of consensual discussions and hard-written contributions, which were then edited and designed into the Study Book. In the end the Study Book was a 437 page volume, with some 62 contributors, working together in eleven teams as just described. It was launched at ICME 9, in Japan, with the title History in Mathematics Education: the ICMI Study. Not as fast as the WorldWideWeb, a name invented in October 1990, but because of www we now have our own backbone, the HPM Newsletter, easily available. Fulvia Furinghetti launched a splendid program during her tenure as Chair of HPM creating a website, a logo, and with Peter Ransom a first class newsletter. The Italian Society of History of Mathematics has been formed and has its own website as does the Americas Section of HPM. Further, the goals and objectives of HPM have infiltrated many meetings as Coralie Daniel points out so well in her article describing her journeys in 200224 . Reviving the Newsletter so carefully nurtured by Victor Katz who had built up a "strong distribution network, which serves a local focus for HPM activities and promotion" was vital to the organization. The group works rather informally with the "main binding element" being the Newsletter. Its role is crucial and when there was a vacancy it was sorely felt. Since 1984 HPM meetings have been held every four years, as satellites of that year's ICME. The tradition has grown up of trying to arrange the meeting in a different but nearby country to that in which ICME is held. As part of the agenda for HPM from 1988-1992 members were urged to plan yearly international meetings more often. Several countries, notably France and England as noted earlier have had meetings directly connected to the goals and objectives of HPM. 1999 Louvain-la-Neuve/Leuven,Belgium, 12-17 July 1999, organized by Dirk Janssens, Patricia Radelet, Michel Roelens. (or from meetings with a high proportion of HPM contributors). SWETZ, F., FAUVEL, J., BEKKEN, O., JOHANSSON, B., KATZ, V. (eds. ), 1995, Learn from the Masters! Washington: Mathematical Association of America. In 1988, Otto Bekken and Bengt Johansson organized a meeting at Agder College, Kristiansand, Norway following ICME. Papers were presented on how participants used history of mathematics in their teaching. This volume collects many of these useful papers. CALINGER, R. (ed. ), 1996, Vita Mathematica: Historical research and integration with teaching, MAA Notes n. 40, Washington, DC: Mathematical Association of America. This valuable book contains articles developed by the authors based on their talks given at the HPM Meeting in Toronto, Canada in 1992 and ICME in Québec, interspersed with solicited papers by well known historians of mathematics. Many often quoted articles. The volume is dedicated to Phillip Jones (26 February 1912 - 27 June 2002) remembering the fruitful work he did in creating the America's Section of HPM. LAGARTO, M.J., VIERA, A., VELOSO, E. (eds. ), 1996, Proceedings of Second European Summer University and Satellite meeting of ICME-8, Braga, Portugal: Portuguese Association of the Teachers of Mathematics & Department of Mathematics, University of Minho. This volume also contains papers presented at the quadrennial meeting of HPM which was held jointly with the summer university in Braga, Portugal. KATZ, V. (ed. ), 2000, Using history to teach mathematics: an international perspective, Washington, DC: Mathematical Association of America. This book contains articles developed from talks at ICME 8 (1996) in Seville as well as the HPM meeting which followed. FAUVEL, J., VAN MAANEN,J. (eds. ), 2000, History in Mathematics Education - The ICMI Study, Dordrecht-Boston-London: Kluwer. This study, six years in the making is a powerful resource for making the argument that history of mathematics in vital for many students and their teachers to gain a fuller understanding of what they learn and teach. HORNG, W.-S., LIN, F.-L. (eds), 2000, Proceedings of the HPM 2000 Conference History in Mathematics Education. Challenges for a New Millennium. A Satellite Meeting of ICME-9. Taipei: National Taiwan University. 1GEOFFREY A. HOWSON(ed. ), 1973, Developments in Mathematical Education Proceedings of the Second International Congress on Mathematical Education, Cambridge: Cambridge University Press, p. 39. This includes a footnote 'A longer account of the group's discussions is to appear in Notae De Historia Mathematica the Newsletter of the Commission on History of Mathematics obtainable from Professor I. O. May, Historia, Dept. of Mathematics, The University, Toronto 181, Canada'. 2Historia Mathematica, 4 (1977), 94-95. The first report about HPM appeared in the ICMI Bulletin N. 10 March 1978, 26-27. 3Historia Mathematica, 5 (1978), 76. 4Historia Mathematica, 6 (1979), 204. 5Historia Mathematica, 7 (1980), 80-81. In fact the sessions recorded in the proceedings (next footnote) do not seem to follow the plans announced in advance in Historia Mathematica. 6MARILYN ZWENG, et al. eds. (1983) Proceedings of the Fourth International Congress on Mathematical Education, Boston: Birkhäuser. On pages 396-404 are the four papers given in the session on "How can you use history of mathematics in teaching mathematics in primary and secondary schools? ": Casey Humphreys (Minneapolis, USA), 'Use of the history of mathematics as a pedagogical tool,' 398-400; Leo Rogers (London, UK), 'The mathematics curriculum and the history of mathematics,' 400-402; Maassouma Kazim (Cairo Egypt), 'The use of history of mathematics in the teaching of mathematics in secondary education', 402-403; Hans Niels Jahnke (Bielefeld, Germany), 'The relevance of philosophy and history of science and mathematics for mathematical education,' 444-447; Rolando Chuqui (Santiago, Chile), 'Restricted Platonism and the teaching of mathematics,' 449-450; David Pimm (Warwick, UK), 'Why the history of mathematics should not be rated X - the need for appropriate epistemology of mathematics for mathematics education,' 450-452. 7HPM Newsletter, 16 (1988), 2. 8CHARLES JONES, HPM Newsletter, n. 16, May 1988, 2-3. 9Historia Mathematica, 10 (1983), 92. 10V. FREDERICK RICKEY, 'ISGHPM Meets in Ann Arbor and Detroit,' HPM Newsletter, North American Edition, May 1983, 3. 11HPM Newsletter, n. 30 (Nov. 1993), 11. 12DAVID WHEELER, 'ISGHPM at Warsaw International Congress' in ISGHPM Newsletter, n. 5 (Oct. 1983), 3. 13FLORENCE FASANELLI, 'International Study Group on the Relations Between History and Pedagogy of Mathematics' in American Perspectives on the Fifth International Congress on Mathematics Education (ICME 5) , Warren Page (ed. ), 1985, MAA Notes n. 5, Washington, DC: Mathematical Association of America, 256-260. 14GEORGE BOOKER, 'Topic Area: Relationship Between the History and Pedagogy of Mathematics' in Marjorie Carss (ed. ), 1986, Proceedings of the Fifth International Congress on Mathematical Education, Boston, Birkhäuser, 256-260. 15RONALD CALINGER, (ed. ), 1996, Vita Mathematica; Historical Research and Integration with Teaching. Washington, DC: Mathematical Association of America, MAA Notes n. 40. This referred volume contains papers developed from talks given in Toronto and Québec and an additional ten papers written to expand the usefulness of the volume. The volume is dedicated to Philip S. Jones, Scholar-teacher, Historian of Mathematics, Colleague. 16V. FREDERICK RICKEY, 'An Historical Perspective on Learning, Teaching, and Using Mathematics,' in Proceedings of the 7th International Congress on Mathematical Education, (1994), Claude Gaulin et al. eds. Sainte Foy: Les Presses de l'Universitè Laval. 299-303. This is a fine and thorough report on all the papers given in Québec. 17SERGIO NOBRE (ed. ), Proceedings of the Meeting of the International Study Group on Relations Between History and Pedagogy of Mathematics, HPM-Blumenau/Brazil 25-27 July, 2nd edition. UNESP. 19VICTOR KATZ (ed. ), 2000, Using history to teach mathematics: An international perspective, Washington, DC: Mathematical Association of America, MAA Notes. 20MOGENS NISS (ed. ), Bulletin of the International Commission on Mathematical Instruction, n. 41, December 1996, 6-7. 22DÉdÉ DE HAAN, European Summer University in Montpelier in HPM Newsletter, n. 30 (November 1993), 3-6. 23HPM Newsletter, n. 30, November 1993, 10. 24HPM Newsletter, n. 52, March 2003, 2-4.